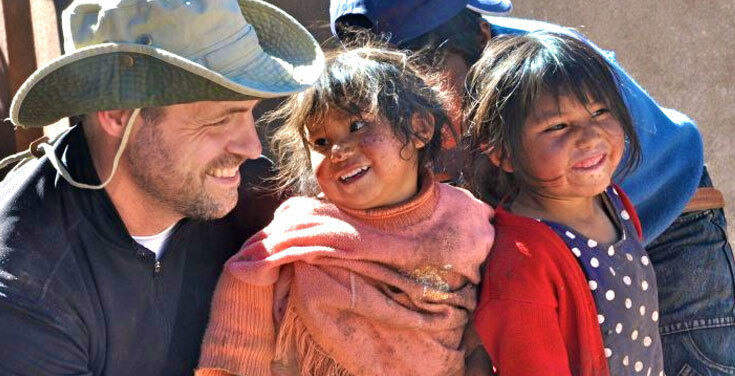 For teams wanting a more rugged mission experience in a remote mountainous Andean village, Bolivia might be the place for you to serve. 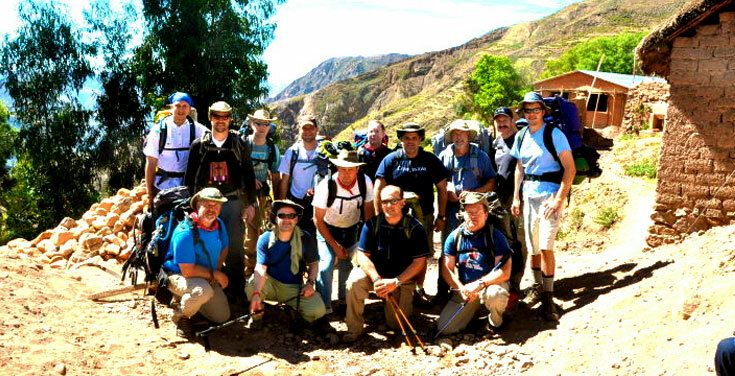 SIFAT has a great need for teams in the Andes Mountains of Quesimpuco; contact Peggy Walker at internationalteams@sifat.org for a unique mission experience. Some 13,500 feet in the Andes, 300 miles and a day’s journey by jeep from La Paz, lies the village of Quesimpuco. More than 10,000 people live beyond Quesimpuco in the Chayanta Valley, accessible only by narrow foot trails carved into steep mountainsides. Quesimpuco is in the province of Chayanta in northern Potosi. One of the poorest and most remote areas in the Americas, the average annual income is $97. Many people still sacrifice sheep and llamas to their stone gods, even when their children are dying of malnutrition. Because their religion is based on fear and revenge, villages often retaliate against one another by burning crops and destroying homes. But the Word of God is spreading. In September 2000, the community came together to build a larger church in Quesimpuco. Their members are determined not to stop until they reach the last village with the integrated Gospel. 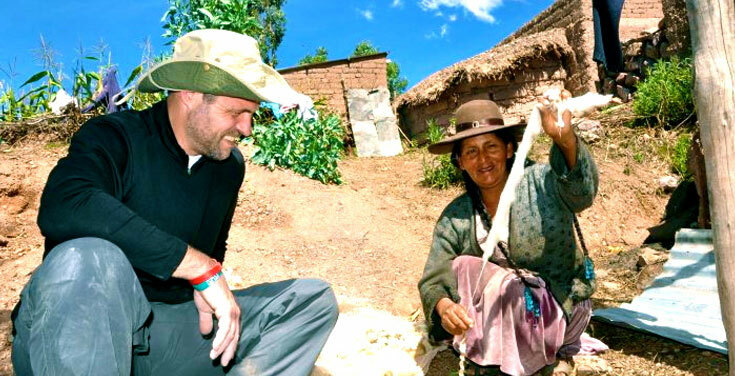 These Quechuan people are their own missionaries. Partnering with SIFAT, they do everything they can, with SIFAT providing what they cannot. A network of congregations in different villages has been established. 47 CB radios, powered by solar panels, help to link the communities. Clean water systems are now in operation in about 100 villages. The first health center, with a hospital, doctor, nurse and local health promoters, operating in Quesimpuco complete with solar and wind-powered electricity. This is now being converted to a small public health care clinic because the Bolivian government opened a state run health care facility in Quesimpuco in 2011. Health promoters teach disease prevention in outlying communities. A Christian high school, fully accredited by the government of Bolivia, serves 147 students and has seen five classes of graduating seniors. It is the only high school in the area. A seminary to train Christian leaders from the area was begun in 2000. A boarding home (internado) makes it possible for youth from 25 villages beyond Quesimpuco to live and study in the high school and seminary. Numerous smaller projects are under way, such as helping the villagers find markets for their weavings and starting a nursery for a reforestation project to reclaim eroded mountainsides. SIFAT teams will also be helping to start an irrigation and clean water project to serve families in small villages near Quesimpuco this year. Construction/evangelism and medical/dental/veterinarian teams are needed to serve in Quesimpuco. 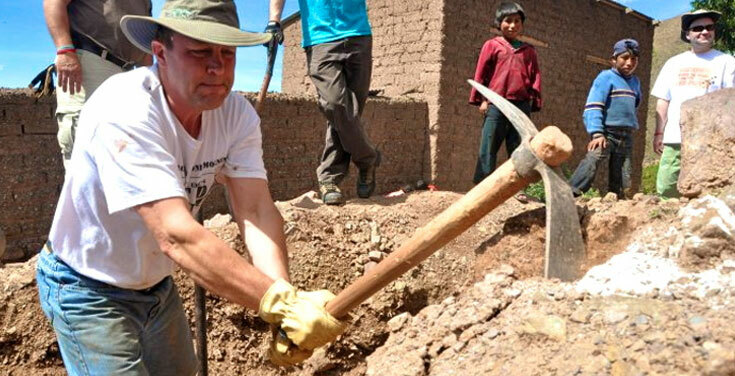 Projects are varied and include repairs on the school and church and completing a UMC parsonage. Remodeling the internado (boarding home) will provide future housing for people from all over the valley as they attend SIFAT training seminars in Quesimpuco. 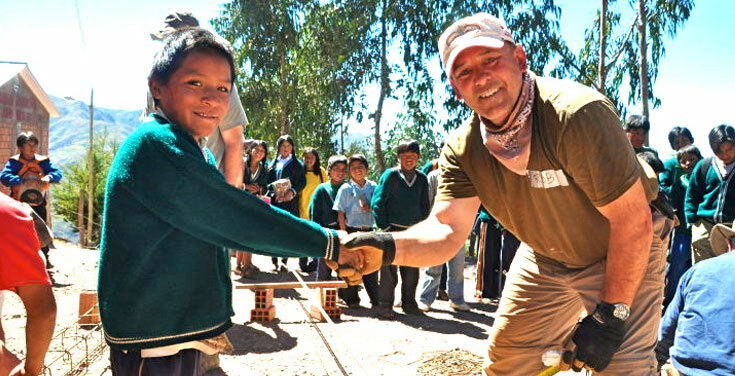 Benjo and Isaac Parades, our CENETEC partners in Bolivia, spent a month at SIFAT in the fall of 2011. Working with SIFAT’s international department, a five-year development program was agreed upon that will include many villages in the Chaupirana Valley and Chayanta Province. Expanding on the last 11 years of our mission teams, new opportunities abound in the areas of public health, construction, education and discipleship in this very remote region. The five-year plan for Quesimpuco falls into four development areas: Education and Training, Community Health, Evangelism and Missions and Socioeconomics. Development Area I : Education and Training. This year, the internado is open to students attending local schools from far away villages. Training will be intensive on agricultural, health and Christian World View as we move towards becoming a Regional Training Center in the next five years. Development Area II: Community Health. Medical teams will visit Quesimipuco and Futino. CENATEC and local and provincial health authorities will form a plan for a larger coverage into isolated areas to establish a Community Health Watch Program through training with the local and professional components. Dr. Ruth Mamani, the first female graduate from SIFAT’s John Wesley High School in Quesimpuco, will lead this development area. Development Area III: Evangelism and Missions. Many SIFAT teams bring a VBS component for the children of the community and in the school. One team is planning Christian training for local pastors. Development Area IV: Socio-economics. Auburn University Engineers Without Borders will continue their five-year commitment by working on an irrigation project for Pajchantiri-Llistakala area in front of the clinic, as well as a hydroponic system to recycle water. This project will serve 25 families. Each family will receive training in agricultural practices and quality seeds to produce food for human and animal consumption. 2018 trip dates are available from late April through September. Because of an extensive rainy season, roads are impassable at other times of the year. Contact our International Team Coordinator at internationalteams@sifat.org to schedule a team. Lodging: In health center housing facility in dormitory style bunkrooms with restroom & shower facilities. Electricity available by generator. For two nights in La Paz, at the Sagarnaga Hotel, included in trip cost or at the El Presidente Hotel for $100 extra for double rooms/$200 extra for single rooms. Meals: Cooked & served by team members from the small kitchen of health center. Most food needs to be brought by team from the USA. Bread, vegetables, fruit, meat and cheese can be bought in Bolivia by SIFAT staff. Visa At the airport, you will need to pay $165 in cash per person for a 10-year visa. A passport photo may be required. This is not included in your team cost. Free Day: One day for visiting one or more interesting and historical sites in the country of Bolivia (a trip into the rain forest, trip to Tiwanaka ruins, shopping or visiting museums in downtown LaPaz). There is an additional cost for this free day activity.